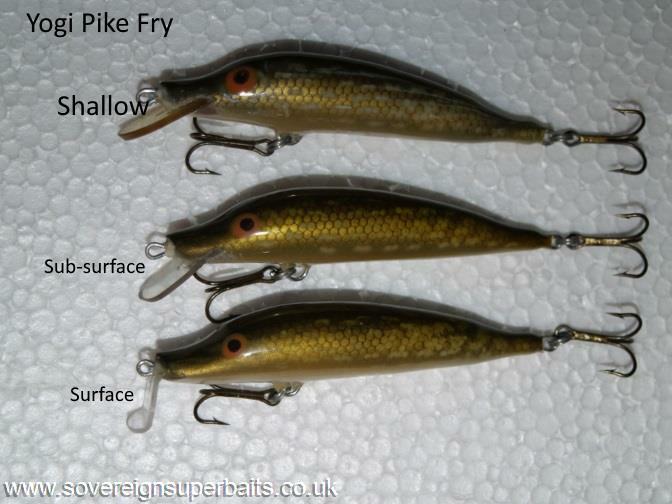 The first of the new range of yogi "Naturals" Here we have the "Pike stick" in three diving depths. The top one will dive to around 5', the second one to around 3' & the bottom one to around 1'. We say "around" because we all use different gear & wind at different speeds. We tested them in a swimming pool on 20lb Rozemeijer S line on a steady retrieve. Trolled they obviously go a little deeper. 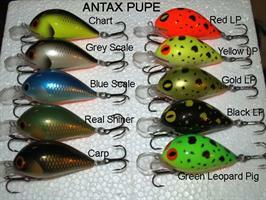 They weigh just 5g & can be fitted with barbed or barbless trebles or single in line hooks as an option.